It's part 2 of the Emily Awards! I'm very excited, because some of my most-asked questions involve eye makeup! 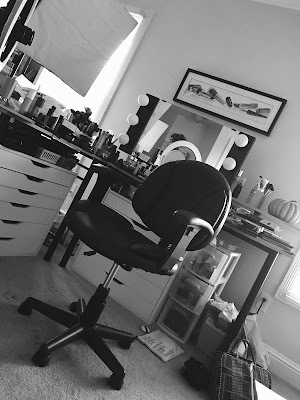 Everyone wants to find the best mascara, the longest wearing eyeliner, and the best eyeshadow formula. While I've always valued gorgeous colors, I find I'm placing even more emphasis on practical criteria with eye products this year... ease of use and staying power are huge factors for me. As with all of my Emily Awards, some categories don't have a favorite! Hope you enjoy this year's picks! * denotes the number of years a particular product has won. This is the fourth year for the Emily Awards. It'll feature the best lip products! Have you ever tried Urban Decay's 24/7 eyeliner? The liquid one should def be a high-end contender. Good post. I am looking for a liquid liner and may give REVLON a try. Emily, you have to try the Essence cream eyeshadows!! They are so lovely! Do you have a brand named Catrice in the US? Amazing post/video as usual! I have the youtube video open as I'm reading this post haha! I honestly never knew Smashbox made good shadows. I've always been bent on UD and MAC. Now I'll have to try it out! I love, love, love my Silent Treatment trio - I'm wearing it today! Also, I recommend the Jordana liquid eyeliner - great liner for only $2 or $3. Finally, the Physician's Formula Gel liners are great too - and I they come in so many great colors - really a contender for the drugstore category. Just found you and WOW! You are amazingly full of great information and tips. I will return again and again. NYX products are also available at Face Values stores. This is a somewhat regional chain-NY, NJ, CT and FL. Going to try false eyelashes based on Emily's tutorial and recommendation on YT! I absolutely adore your channel and have found it very helpful. I do have a request though--you are a lovely medium-fair, brown-eyed brunette. Have you considered doing looks on women of different coloring to your own? For example, one issue with which I have ALWAYS struggled is with how to wear grey or silver colors on the eye. (I am actually your skintone, but have blue eyes and naturally dark blonde hair). Grey or silver ought to look less harsh on me than black, you'd think. However, whenever I try to wear a grey or silver, one of two things happens: 1) the eye makeup ends up looking blue next to my eye; or 2) my eye ends up looking very blah grey next to the eye makeup. Black can look too harsh on fair skinned blue-eyed blondes, so we try the greys and the browns. But the greys go rogue and turn blue! HELP!! Have you tried the ELF Cream Eye Liners? Can you please do a review on the smashbox palette with swatches?? I just wanted to talk about drugstore cream eyeshadows for a second. A few have come out recently, and I'm very excited. But loreal also came out with one, and I am still stumped on which one will have the better formula. I will probably choose color tattoo (when we get them at my local drugstore) because I'm drawn to the white and taupe matte colors. I just thought I could mention it, many gurus haven't talked about the difference in the two brands. Also, a thought for 2012 and the next Emily awards in a eyeshadow pencil category. 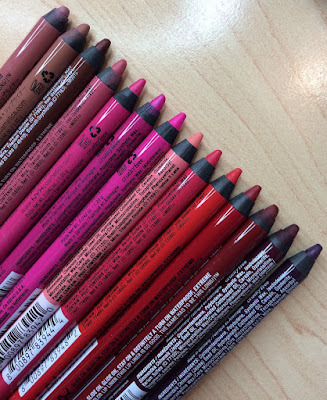 A lot of gurus are into the NYX jumbo eyeshadow pencils (just recently picked my first one up and will try it today in milk). I thought it would be cool to see if there are any more similar jumbo pencils out there to NYX and how they compare. I love that you mentioned NYX's HD primer! I have used both shadow insurance and NYX and by far the latter of the two is my first choice. It's just a bonus that it's a cheap and cheerful find! I find NYX to do a better job of keeping my shadow from creasing overall. The shadow insurance works great too but NYX simply holds up the longest on my oily lids. I'd have to say that the only way they could make it better is to make it available in a squeeze tube instead of a wand.